Sharife Elouahabi claimed a total of £103,475.60 in accommodation and financial benefits. A MAN HAS been given a six-year jail sentence after he claimed more than £100,000 in accommodation and financial benefits intended for the victims of the Grenfell Tower fire. 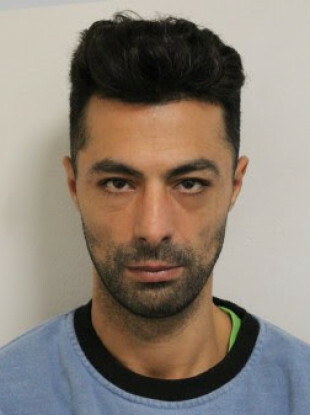 Sharife Elouahabi, 38, of no fixed abode pleaded guilty to one charge of fraud by false representation at Isleworth Crown Courton earlier this month. The court heard that Elhouhabi claimed a total of £103,475.60 for accommodation and financial assistance between 23 June, 2017 and 25 June, 2018. He claimed to have been staying at a flat on the 21st floor of the Grenfell Tower, where a family was among 70 people known to have died in the fire on 14 June, 2017. Elhouhabi was due to receive resettlement payments worth a further £14,730 to go towards a flat and free utilities, before the fraud was discovered. An investigation revealed that he was living at another address in Kensington and had no links to Grenfell Tower. Detective Constable Ben Rouse, who led the investigation, said Elhouhabi’s actions represented a substantial fraud and were made more deplorable by the fact that his crime was committed in the immediate aftermath of the fire. “Elhouhabi shamelessly took advantage of the efforts to rehouse people whose homes had been destroyed by claiming his link to one of the flats, and he was subsequently put in hotel accommodation,” Rouse said. He added that the crime was the latest in a long line of Grenfell Tower-related frauds, and that police were continuing to investigate and prosecute those who financially profited from the fire. Email “Man jailed for six years after falsely claiming over £100,000 in benefits for Grenfell Tower victims”. Feedback on “Man jailed for six years after falsely claiming over £100,000 in benefits for Grenfell Tower victims”.